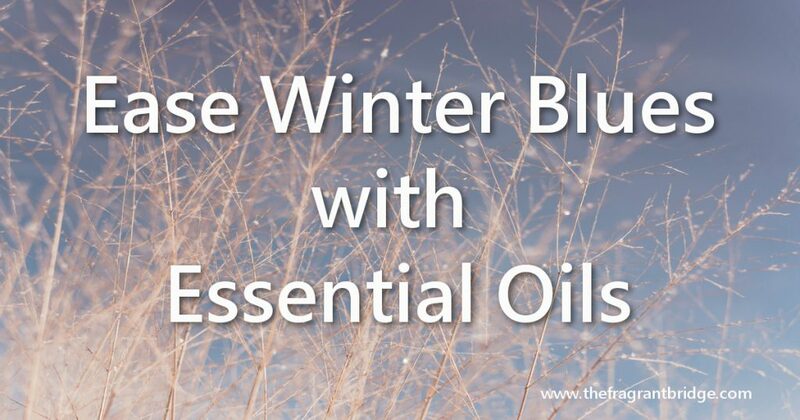 Ravensara is a good oil to have on hand during the winter months. She is one of the first oils I reach for when I’m coming down with a cold. 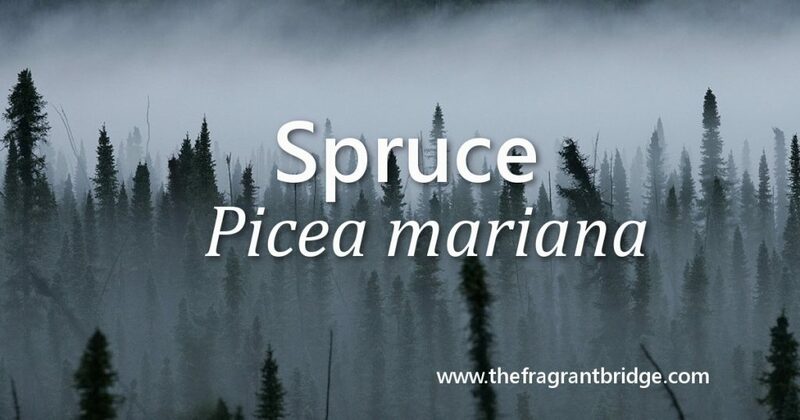 Synonyms: Madagascar spice, Madagascar nutmeg, clove nut. Aroma: Fresh, sharp, clear, eucalyptus-like. 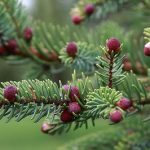 Plant: Tree 18 to 20 metres high with reddish grey bark and dark evergreen leaves. Main Growing Areas: Madagascar, Reunion, Mauritius, Australia. Major Constituents: Pinene, terpineol, linalool, eugenol, estragole. Interesting snippets: The local people have used the bark, leaves and fruit since ancient times. 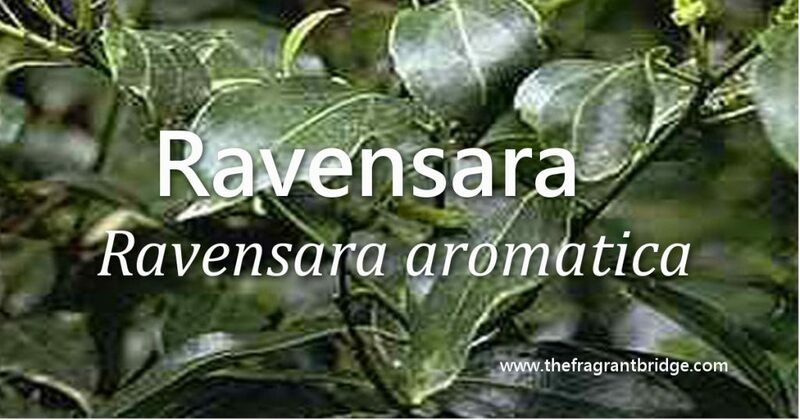 The name ravensara means the tree with good leaves in Malagasy. Part of Plant used / Extraction: Leaves and twigs by very long, slow steam distillation. Therapeutic actions: Antiviral and immunostimulant, excellent for colds and flu, sinusitis, bronchitis, whooping cough, cold sores, shingles, joint pains, muscular tension and physical fatigue. Emotional and Spiritual: Setting boundaries, mental fatigue. Philippe Mailhebiau writes ravensara is for people who no longer enjoy life and doubt everything especially themselves, those who no longer know where they are through lack of aims or ideals and who, their morale affected, suffer various pains as a result. Robbie Zeck writes Ravensara encourages the setting of personal boundaries. A boundary delineates what is included within as well as what is excluded. Learning to define your boundaries determines your identity and maintaining healthy boundaries is absolutely integral to your self-empowerment. 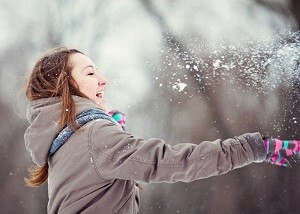 Your emotional and physical wellbeing will be compromised if your boundaries are unstructured. Learn to say no: And remember, ‘no’ is a complete sentence. Gabriel Mojay writes ravensara is ideal for restlessness and insomnia caused by nervous debility and illness. Like tea tree oil, it is also important in cases where anxiety and depression threaten to weaken the immune system. Safety: Possible skin irritation, non-toxic. 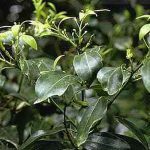 Note: Ravensara (Ravensara aromatica) is often confused with Ravintsara (Cinnamomum camphora). They have a different chemical makeup with ravintsara having a large percentage of 1.8 cineole and ravensara very little. Ravintsara is considered gentler to use with children. 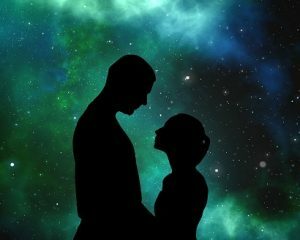 This entry was posted in Essential Oils and tagged cold sores, colds and flu, maintaining boundaries, ravensara, self-empowerment, shingles, sinusitis on July 27, 2016 by Carole Hodges. In winter there are stretches where the rainy days seem endless, the cold more penetrating and you long for some sun and warmth. This is the time to diffuse your mood lifting essential oils and massage those cold hands and feet to bring back warmth and improve your circulation. The citrus oils are fabulous for lifting your mood and bringing some sunshine into your life on even the darkest days. Put 5 or 6 drops in your diffuser for an instant lift. The aroma will not last long so combine with a warming oil such as cinnamon or ginger to make the aroma last longer but remember even if you can no longer smell the oil it is still in the atmosphere affecting your mood. Black pepper (Piper nigrum) eases arthritis by warming aches and pains. Cinnamon (Cinnamomum zeylanicum) relieves arthritic aches and pains and helps alleviates coughs and colds. 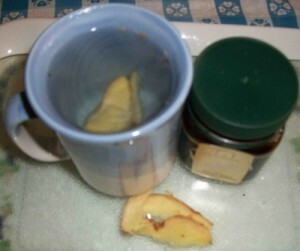 Ginger (Zingiber officinale) warms and soothes arthritic aches and pains. Nutmeg (Myristica fragans) soothes arthritis and promotes relaxation. Black pepper 2 drops, ginger 2 drops, lavender 1 drop in 10 mls cold pressed vegetable oil. Massage into cold hands and feet or double amount for a warming full body massage. 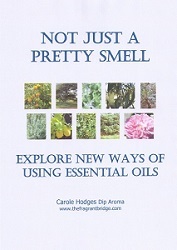 This entry was posted in Essential Oils and tagged aches and pains, black pepper, grapefruit, mood lifting oils, warming oils, winter blues on July 20, 2016 by Carole Hodges. Tanabata is celebrated on July 7th in Japan and is the day my niece was married 4 years ago. It’s the one day of the year when the princess weaver (Orihime) and the cow herder prince (Hikoboshi) represented by the stars Vega and Altair can meet. For the rest of the year they are separated by the Milky Way. Japanese celebrate the Star Festival when these two lovers can meet with street festivals, writing wishes, sometimes in the form of poetry, on small colourful pieces of paper and hanging them on bamboo. These wishes are then set afloat on a river or burned after the festival. 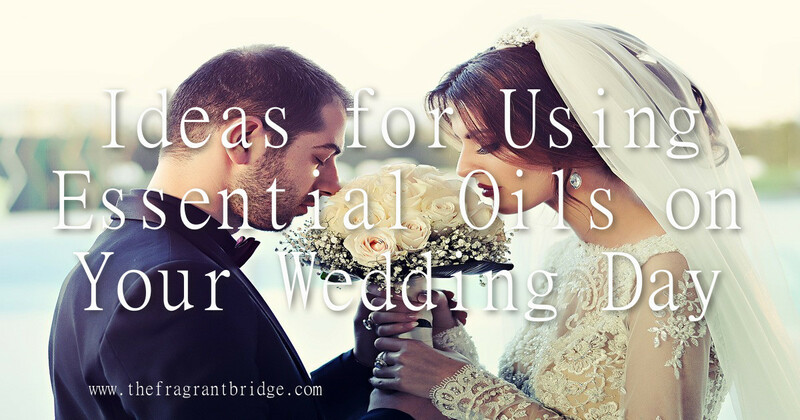 Because of the romantic associations of this day I thought it would be a good time to write about essential oils that could be used to help celebrate a wedding. Essential oils help to minimize your stress so you can focus on the things that really matter and enjoy your special day. Bergamot (Citrus bergamia) brings joy and helps calm anxiety. This can be helpful for the groom as well as the bride if he is feeling a little nervous, anxious or stressed on the day. Cypress (Cupressus sempervirens) helps with change or moving on. Frankincense (Boswellia carterii) helps you breathe more deeply and relax. Geranium (Pelargonium graveolens) is the oil of balance and can help you stay on an even keel on your wedding day. 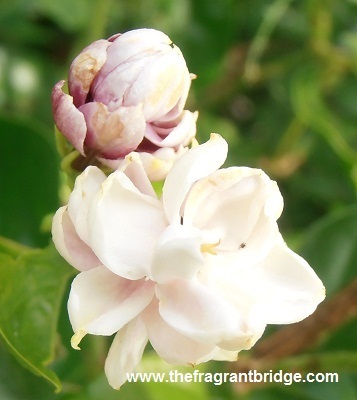 Jasmine sambac (Jasmine sambac) is a beautiful aromatic oil that inspires passion. You could also try jasmine (Jasminum officinalis) but whichever you choose use a tiny amount as she has a powerful aroma. Lavender (Lavandula angustifolia) can be used by the bride to help relax her and get a good night’s sleep the night before her wedding. Lavender is also useful to help calm the stress and anxiety that can happen on the day. 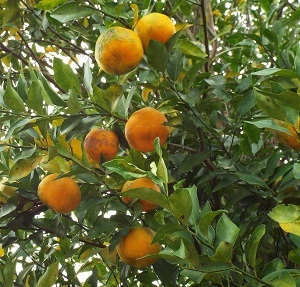 Neroli (Citrus aurantium var.amara) is used to relieve tension and anxiety. 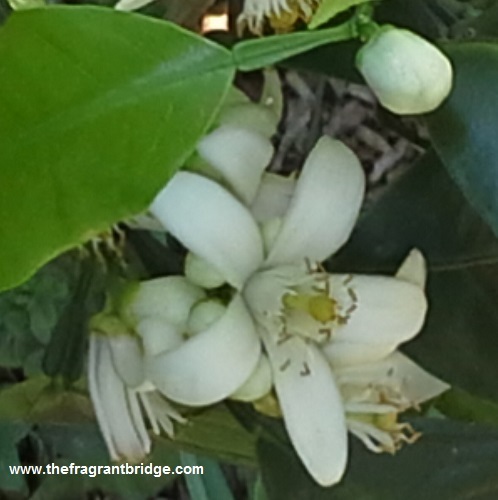 Orange blossoms were traditionally used in bridal bouquets to help the bride stay calm. Orange sweet (Citrus sinensis) is another oil that helps you relax and keep calm on the day. Patchouli (Pogostemon cablin) helps you stay self-assured, confident and grounded on the day. 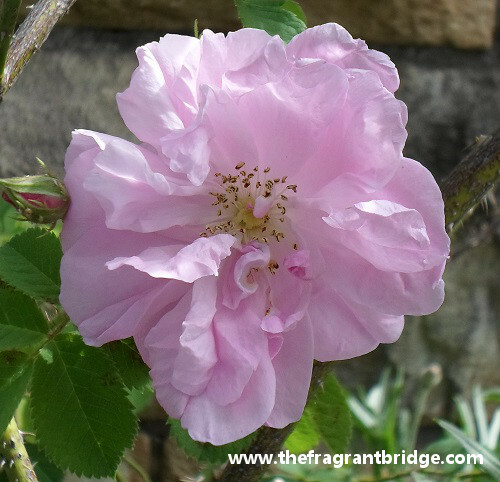 Rose (Rosa damascena) is a very feminine oil that helps you remain calm and loving. Rosemary (Rosmarinus officinalis) is the oil of remembrance. Sandalwood (Santalum album) is another very grounding and calming oil. 1. Mix 2 or 3 drops of geranium or jasmine or jasmine sambac or neroli or rose or sandalwood in 5mls of cold pressed vegetable oil and use as a perfume. 2. Make or have made for you your own signature oil blend or perfume for the day. 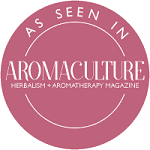 Using scent can instantly take you back to your wedding day many years later because essential oils enter the limbic system of the brain where your memories and the emotions linked to them are stored. You could also wear it each anniversary. 3. Personal Spray Mist – Add up to 25 drops of your chosen oils mixed with an dispersant to a 50ml mist bottle filled with spring or distilled water and shake before use. Use as facial mist or to perfume your personal space. 4. 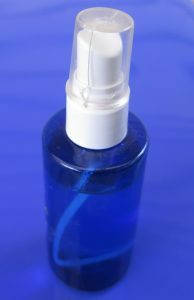 A spritzer bottle can be placed on each table for guests to spray at their leisure. You can also make small bottles to give as favours to all your wedding guests, so they too can relive your special day. 5. Wedding favours – Make a blend for the guests to take home and use. Add oils to 15 or 25mls of cold pressed vegetable oil and place in a voile bag. A lovely aromatic gift they can use in a massage or bath. If you would like to have your own personalised wedding favours made email me at carole@thefragrantbridge.com or ring me on 0404 988 565 to discuss. This entry was posted in Essential Oils and tagged essential oils, wedding day on July 6, 2016 by Carole Hodges.